Superhot have launched their Kickstarter campaign today for a first-person shooter, also named SUPERHOT, in which the player manipulates time in order to take down bad guys. The team is already more than half way to meeting their $100,000 goal in the short amount of time the campaign has been up. 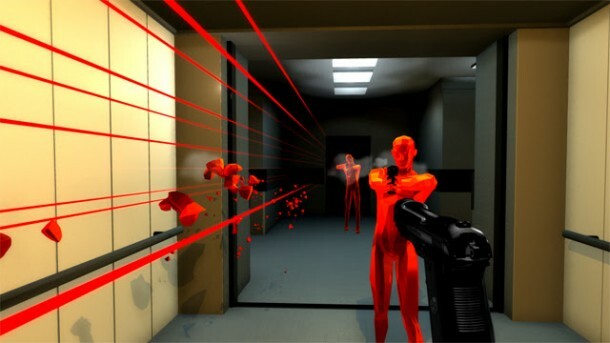 The Superhot team created SUPERHOT in a game jam last August where teams had to develop first-person shooters in a week named 7DFPS. At the core of the game is its time manipulation aspect, where time only moves when the player moves. Once they released their game jam prototype online they’d received a glowing response from the video game community, and decided that they wanted to turn SUPERHOT into a full single player experience. Their current slate of release platforms is PC, Mac and Linux, but judging from less than twelve hours since the campaign’s launch that list will most likely grow. The Superhot team will announce stretch goals when the game reaches full funding, but milestones in the current plan include more enemy types, a story-driven campaign, Oculus Rift support, an arena mode and other ideas that you can read about on their page. If you are not interested in the project yet don’t worry; the public demo from the jam is available to try on their website. Find out for yourself what makes SUPERHOT so hot.